While talking about the issues of environment, management of resources, the concept of waste appears as one of the most important ones. A large part of our resources goes into waste, and these products become completely useless. Many of these waste produces harm the environment, because they are non-biodegradable. Even if they are bio-degradable, their accumulation in any area can result in flies and mosquitoes in that area, which is not good for health. This is the reason why there is a huge demand for decreasing the amount of waste produced in different fields. 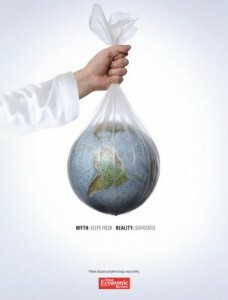 Polythene is a huge nuisance to the environment, causing air and land pollution. While we all want to contribute to the environment, but it can be observed that the products around us are all packed in toxic packaging. With the coming of MNCs and Super Malls, the usage of these packages has increased. According to a study, Americans produce 3 pounds of trash every day. 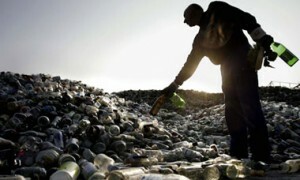 So, however they try to control their wastage, they still are harming the environment. So, what can be done in order to reduce this large production of packaging material, which after the use of the product, is a complete waste and a huge danger to the environment. Germany alone produces 16 million tons of packaging food waste each year. Are you sure you are not polluting the planet? While using every packaged product, you are doing so. But two friends in Germany have turned up with a completely different and innovative project. A new model of market proposes to completely eliminate the concept of garbage. This market does not have products packed in tetra packs or polythene at all. 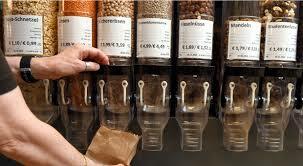 Rather, they have bulk bins in which they store the products. This step will also encourage the citizens to give a bit more care and attention to environment. Bringing recyclable bags or cloth bags to grocery shops can turn out to bean amazing step for a greener world. The customers bring their own containers and take out from the bulk, whatever is their demand. By doing this, the customers are saved from buying the extra food, which gets wasted because of lesser demand. So, “buy according to your needs” policy seems to be working perfectly. Even if they forget their containers, the multi-used containers from the store can be borrowed, or recycled paper bags can be used. The store allows the customers to buy products according to their needs, rather than the standard packets, which result in wastage of the products. The grocery items, or fruits and vegetables, are the items which are consumed daily. These products are packed with highly toxic materials. Their packing requires use of energy, and is a waste after all. Therefore, coming up as a waste free market is nothing but the perfect step at the perfect time. This has the potential to decrease, or completely eliminate the concept of waste. 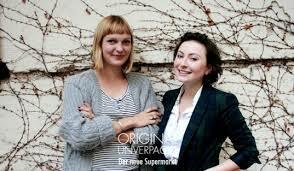 The concept of ‘Original Unverpackt’ is an idea of friends Sara Wolf and Milena Glimbovski. The two believe in saving the environment in their own way, and are quite successful by doing so. When asked about the future, they are confident that they will be providing a perfect alternative to the Germany’s larger supermarket chains by increasing the number of similar stores. The outlet is free from all the products which are packed. This is really a brilliant idea and if replicated throughout the world, can become a key for survival. Avoiding the packaging of the products will also save resources and energy. Moreover, the polythene used to pack these products is really harmful to the environment because these are non-biodegradable. So, when dumped in open grounds, these are a real nuisance to the environment. The global population rises by 200,000 everyday, which means that by 2050, at the normal rate of consumption, we would need three times more resources than we currently do. Accordingly, the fiber, food and feed will rise by 70%. The two friends- Sara Wolf and Milena Glimbovski , who converted the idea into a reality and did their bit for the environment. Quoting Robert Swan, “The greatest threat to our planet is the belief that someone else will save it”. Let us try to learn from what he said. It is our responsibility to save the planet, because we only are using the resources. You are breathing in oxygen every second, and doing a bit for the environment, you can repay for it. 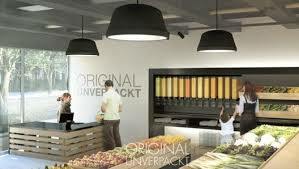 ‘Original Unverpackt’, as the market is known, may not be easily reproduced in various other parts of the world, but it is completely possible. 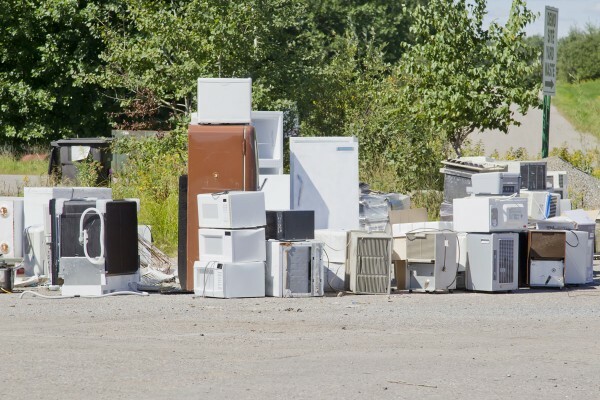 In countries like United States, where the waste produced is very high as compared to other countries, there is a dire need to bring such markets, and such ideas into being.